Videographers are everywhere – some boast it as a side hustle and some individuals and groups are professional videographers. 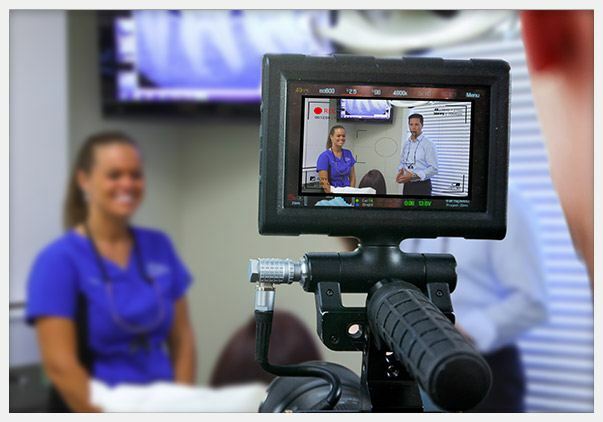 TNT Dental offers a prestigious, in-house videography team that specializes in dental practices. You won’t find this level of understanding or passion for your practice anywhere else! Our videographers will come to you! They will prepare you for the full day shoot beforehand, walking you through step-by step what the day will look like to capture your practice’s special and unique story! At TNT Dental, our team prides themselves in not only capturing the essence of your dental family, but also in precisely editing your videos to make you and your team shine. We will optimize every video and photo for your website and work with your Marketing Expert to create a strategic content campaign to maximize your search engine optimization. Please contact a Tim today to grow your practice through video! Let us help tell your unique story.